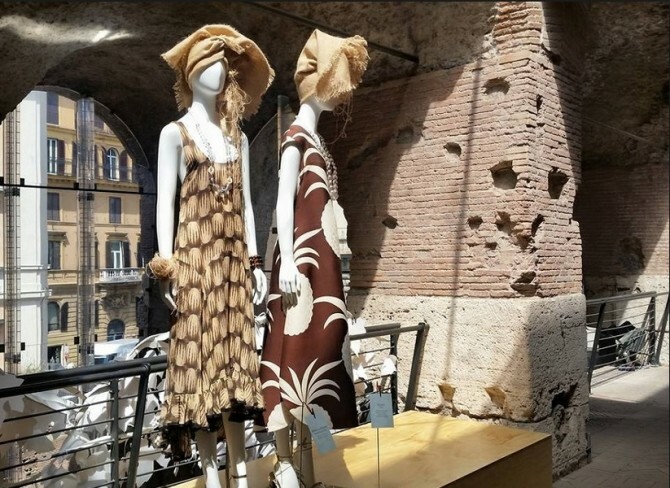 Summer has just begun, and yet in many museums in Rome the forthcoming season of exhibitions has already being refined. 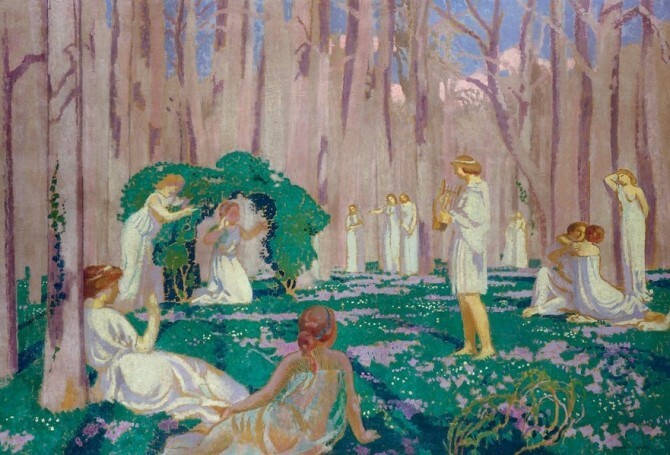 Right across the fresh and relaxing environment of Villa Borghese (the central park in Rome), for instance, the specialist team at the National Gallery of Modern has been working on Maurice Denis, dai Nabis a una Nuova Spiritualità (Maurice Denis, from the Nabis to a new spirituality), the new exciting art event scheduled from 20 November 2015 until 3 April 2016. 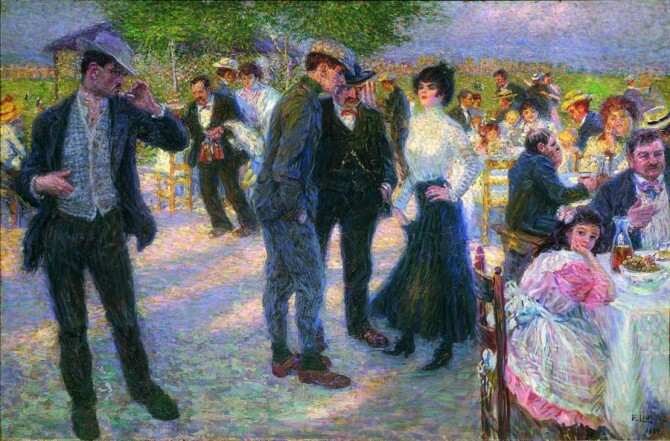 The exhibition will revisit, throughout one hundred works of his, the evolution of the French artist from a legendary post-impressionist avant-gard group which had named itself “Nabis” (Hebrew word for “prophet”, with reference to the new forms of expressions created by this artistic group), to the “Ateliers d’Art Sacré”, that on the other side attempted to reconcile the Church institution with the modern civilization. From Yes Hotel just catch metro line A and get off at Flaminio. From there either bus #910 or tram 19 will take you right opposite the National Gallery of Modern Art! A majestic cultural event will be running in the Eternal City until July 26th: Baroque in Rome a “multi-venue” exhibition which traces rise and peaks of the art movement which still marks so neatly the Roman skyline. The event counts in fact on several venues all over the city center, each of them offering its own contribution to give vistors an idea of what Baroque age meant to Rome. Not just painting masterpieces will be on display, as conferences, concerts, workshops for both kids and adults, thematic tours and many more satellite events will be part of Baroque in Rome. For more details don’t hesitate to ask our staff at Yes Hotel! Part of Luciano Benetton’s art collection is currently on display in Rome. It’s actually much more than a simple collection: it’s a project, a vision, an image of the world, as its title “Imago Mundi” points out. The chief of one of the most successful Italian brands in the world is indeed very much involved in spreading and preserving the arts, and his ultimate intuition took precisely the shape of “Imago Mundi”. This project aims at showing to public thousands of works of art that Benetton either collected or commissioned to emerging artists during his life-time journeys. These works respond to two main characteristics: they are 10×12 cm in size, they are non-profit. The concept is to create a visual map of humanity, to favour a global meeting of culture in respect of their different expressive means. As an ultimate result, the artists involved will be supported by Benetton’s foundation in finding visibility. By 2015 the project will have reached 100 nations. Currently in Rome the works coming from Africa: 16 countries and over 2000 artists. Where: Carlo Bilotti Museum, inside Villa Borghese. When: until 11 January 2015. Tue-Fri 10am-4pm. Sat-Sun 10am-7pm. Mon closed. From Yes Hotel just catch metro line A and get off at Flaminio.